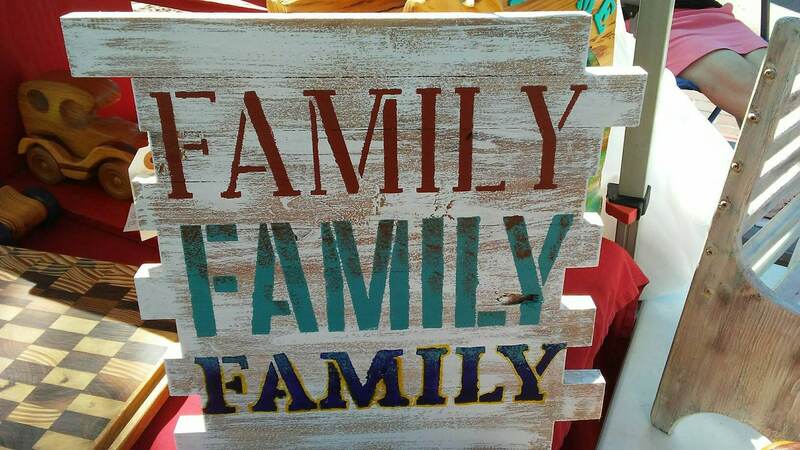 This sign is handcrafted out of re-purposed Florida Grown Cypress, stenciled and then finished with alow gloss laquer. It measures approximately 14" High by 14" Wide and ready to put on your wall. The sentiment reflects the love and meaning of your Family - where would be be without them? It makes a great house warming present -or for anytime that's special for your loved one!